Government plans to monitor all Britons' online activity will help police to infiltrate criminal gangs, Parliament has been told. 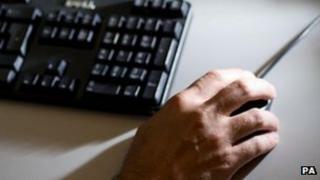 Ministers want to strengthen the law on internet data retention to help the police tackle security threats. Peter Fahy, Chief Constable of Greater Manchester Police, said access to data could help "capture people further up the tree" in organised gangs. Home Secretary Theresa May will face questions on the issue on Wednesday. Under the government's plans, currently being scrutinised by Parliament, service providers will have to store details of internet use in the UK for a year to allow police and intelligence services to access it. Records will include people's activity on social network sites, webmail, internet phone calls and online gaming. Civil liberties campaigners and MPs from all parties have expressed concerns about the scope of the new powers. But giving evidence to the parliamentary committee studying the proposals, Mr Fahy said getting access to basic details of who was talking to whom were "absolutely vital" in "proving associations" between criminals. In his force's fight against organised crime in Manchester, Sir Peter said it was often able to penetrate the top of a criminal gang by linking "foot soldiers" selling drugs or stolen goods to those running operations. But he said he was "very fearful" about the authorities' ability to keep track of suspects in future as they changed their behaviour and used social media and other less traceable channels to interact. "What you are trying to prove is associations between different groups of criminals," he said. "Up to now we have been able to use the more readily available communications data but criminals are realising that and moving to new technology and platforms. "We already have specific examples of them using new platforms to defeat us." Asked to give details of the new methods that criminals were using, Sir Peter said he was reluctant to reveal too much since offenders could be listening to the hearing, but he identified online "gaming platforms" as a growing concern. Although many internet service providers were "very co-operative" at the moment in responding to police requests for information, others were "essentially obstructive", he said, and this needed to change. Giving evidence earlier on Tuesday, a leading IT executive said there were "big downsides" to the government's proposals "in terms of people having their privacy invaded". Trefor Davies, chief technology officer of business-focused service provider Timico Limited, said high-profile data losses by government departments and banks in recent years showed information held by the state and private firms could not be regarded as totally secure. Citing the example of someone visiting the Alcoholics Anonymous website, he said sensitive information was at risk of being compromised if details of online behaviour were stored on a database and then a laptop containing information was left in the back of a cab. He said: "This kind of information will escape." While the industry wanted to help the authorities to "catch crooks" and prevent mass terrorist attacks, he said there needed to be serious debate about the privacy implications of the proposals. Privacy campaigner Guy Hosein, from Privacy International, said police and other public authorities already had access to the information, and there was no need for new legislation. "This data is already collected here in this country," he said.